Looking for a FUN and inexpensive Valentine idea? 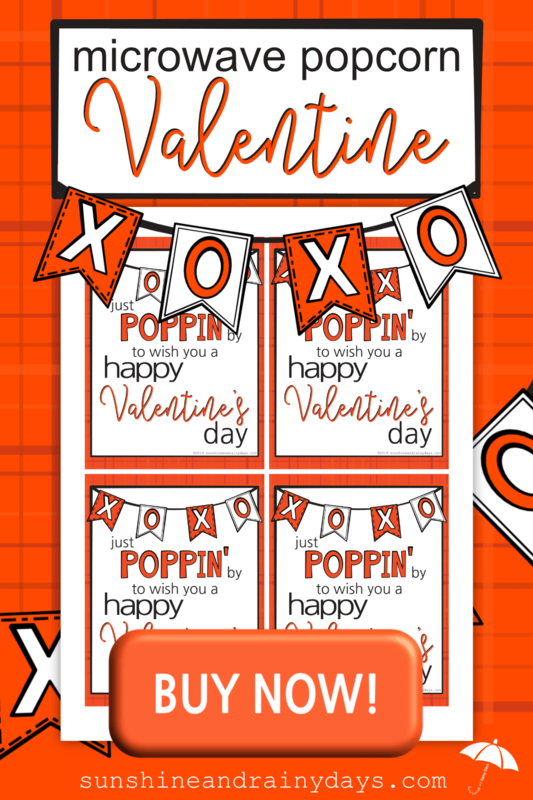 Our Just Poppin’ By Popcorn Valentine might be your answer! 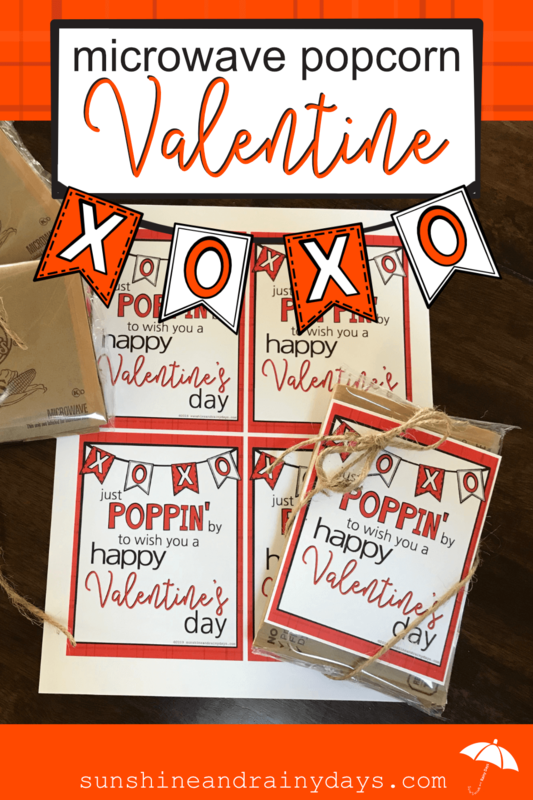 This Popcorn Valentine is super easy to put together! Use it on its own to pass out as class Valentines or add it to a gift basket for your special someone! 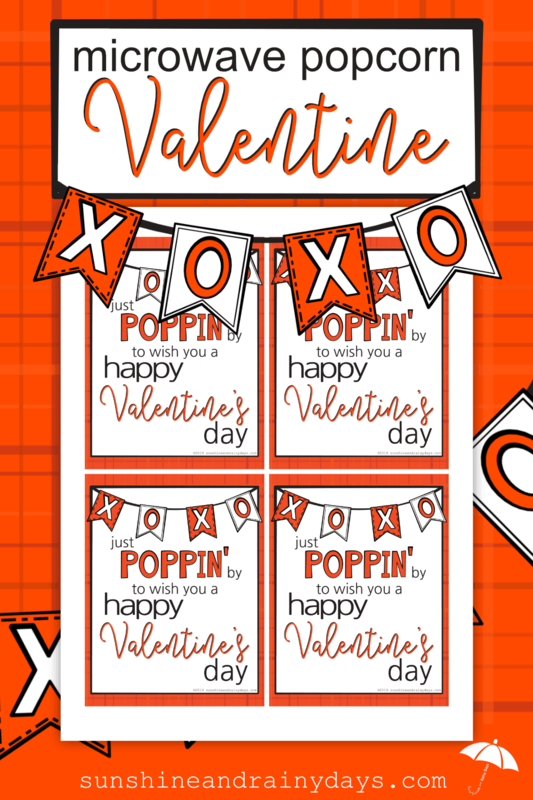 Print the Just Poppin’ By To Wish You A Happy Valentine’s Day Printable – found below. Cut the Poppin’ By cards. 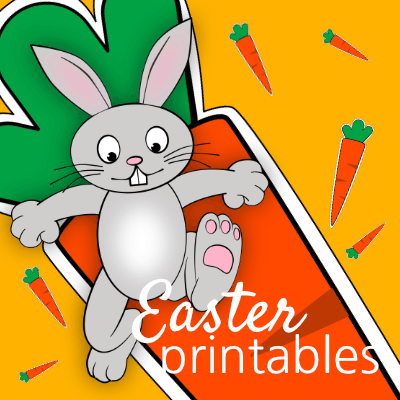 Use an adhesive applicator to adhere the card to microwave popcorn. Can you even believe how easy that was?